Hypothyroidism occurs when the thyroid gland doesn’t produce and secrete enough thyroid hormones. The thyroid gland is located in the mid-neck region near the voice box (larynx). In dogs, the thyroid gland is made up of two separate lobes that lie on either side of the windpipe (trachea). Thyroid hormones play a big role in metabolism and affect the function of many parts of the body. Hypothyroidism is the most common hormone imbalance in dogs1 and is usually caused by inflammation or shrinkage of the thyroid gland. This progressive destruction of the gland leads to diminished thyroid function and insufficient levels of thyroid hormones. Hypothyroidism is typically seen in middle-aged to older dogs and occurs more commonly in medium to large breed dogs. What are the signs of hypothyroidism in dogs? How is hypothyroidism in dogs diagnosed? Based on your dog’s signs, your veterinarian may run several blood tests to assess your dog’s thyroid function. The sulfa class of antibiotics. Sighthounds, such as Greyhounds, Irish Wolfhounds, and Whippets, normally have much lower thyroid hormone levels than other breeds. 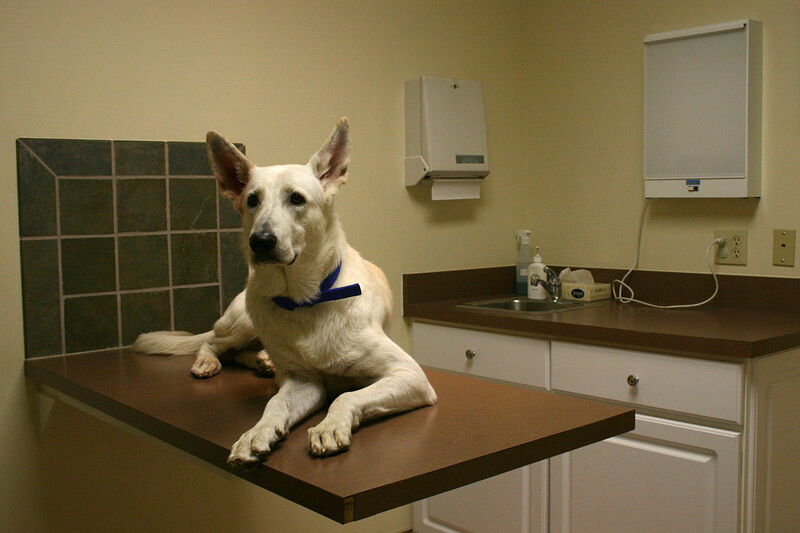 Your veterinarian will consider your dog’s blood test results in light of the whole picture. In some cases, a diagnosis of hypothyroidism may be difficult to confirm and require repeated testing. How is hypothyroidism in dogs treated? There is no cure for hypothyroidism. Dogs must be treated for life with thyroid hormone replacement therapy. Only one drug, THYRO-TABS CANINE (levothyroxine sodium tablets, NADA2 141-448), is FDA-approved for replacement therapy for diminished thyroid function in dogs. Approved by FDA in January 2016 and manufactured by Lloyd, Inc., THYRO-TABS CANINE is a prescription drug containing levothyroxine sodium as the active ingredient. The tablets are available in nine strengths. Your veterinarian will carefully calculate the dose depending on your dog’s weight. The drug is given by mouth every 12 or 24 hours, as prescribed by your veterinarian. There is evidence that the amount of levothyroxine absorbed by a dog’s body depends on whether the drug is given with or without food. To minimize variation in absorption, you should consistently give THYRO-TABS CANINE to your dog either with or without food. You will typically see improvement in your dog’s activity level within a few weeks of starting thyroid hormone replacement therapy. However, hair regrowth may take longer. Skin and ear problems also may take longer to clear up and may require additional medications, such as antibiotics. Do dogs on THYRO-TABS CANINE need to be monitored? Yes. Your veterinarian will monitor your dog’s thyroid hormone levels after starting THYRO-TABS CANINE to make sure the dose is adequate. If the dose is too low, your dog will not be adequately treated and signs will continue. If the dose is too high, your dog may become restless, nervous, drink and urinate more than normal, and lose weight despite an increased appetite (see section below on thyrotoxicosis). After starting THYRO-TABS CANINE, your dog’s thyroid hormone levels should be initially checked every 4 to 8 weeks. Based on these results, your veterinarian may adjust the dose until your dog is adequately maintained. After that, thyroid hormone levels should be monitored periodically in case your dog’s requirement for thyroid hormone replacement therapy changes over time. When checking thyroid hormone levels, blood should be collected 4 to 6 hours after a THYRO-TABS CANINE tablet is given. Dogs with underlying heart disease that are diagnosed with hypothyroidism should be closely monitored by their veterinarians after first starting THYRO-TABS CANINE. The dose of heart medication or THYRO-TABS CANINE may need to be adjusted depending on the dog’s response to treatment. What are the side effects of THYRO-TABS CANINE? FDA encourages you to call your veterinarian if you think your dog is experiencing an undesired side effect from THYRO-TABS CANINE. An undesired side effect associated with a drug is called an adverse drug event or adverse drug experience. A lack of effect—the drug doesn’t do what it’s expected to do—is also considered an adverse drug event. FDA also encourages you to report any undesired side effect associated with THYRO-TABS CANINE. How to report animal drug side effects and product problems. Sometimes, a dog may be given too much levothyroxine, have an underlying illness that affects the body’s ability to break down levothyroxine, or be very sensitive to the drug. In these cases, a condition called thyrotoxicosis may develop. Signs of thyrotoxicosis include panting, nervousness, a rapid pulse, increased drinking and urination, increased appetite, and weight loss. Call your veterinarian if these signs occur. Are there any warnings about using THYRO-TABS CANINE? The safety of THYRO-TABS CANINE has not been evaluated in breeding, pregnant, or lactating dogs. In people and rodents, too much exposure to thyroid hormones in utero is associated with defects in the thyroid gland of offspring. Are there other levothyroxine products available besides THYRO-TABS CANINE? THYRO-TABS CANINE is the only levothyroxine product that is FDA-approved for replacement therapy for diminished thyroid function in dogs. A number of other levothyroxine products are currently marketed in the U.S. for use in dogs; however, none are FDA-approved. In January 2016, FDA issued warning letters to six companies manufacturing an unapproved levothyroxine product informing them that they are violating the law. If a company continues to manufacture an unapproved levothyroxine product, the agency may take enforcement action, such as seizing the illegal product, filing for an injunction to prevent further sale of the product, or both. FDA has serious concerns about unapproved animal drugs, including unapproved levothyroxine products. Unapproved animal drugs have not been reviewed by FDA and may not meet the agency’s strict standards for safety and effectiveness. They also may not be properly manufactured or properly labeled. 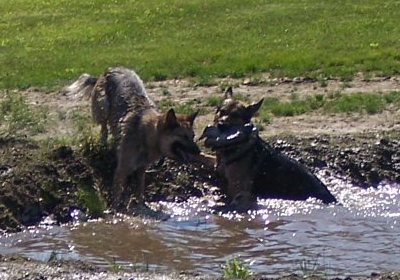 FDA advises veterinarians and dog owners to avoid using unapproved levothyroxine products.